Clint Grosz and Allison Opp buy some bulls. 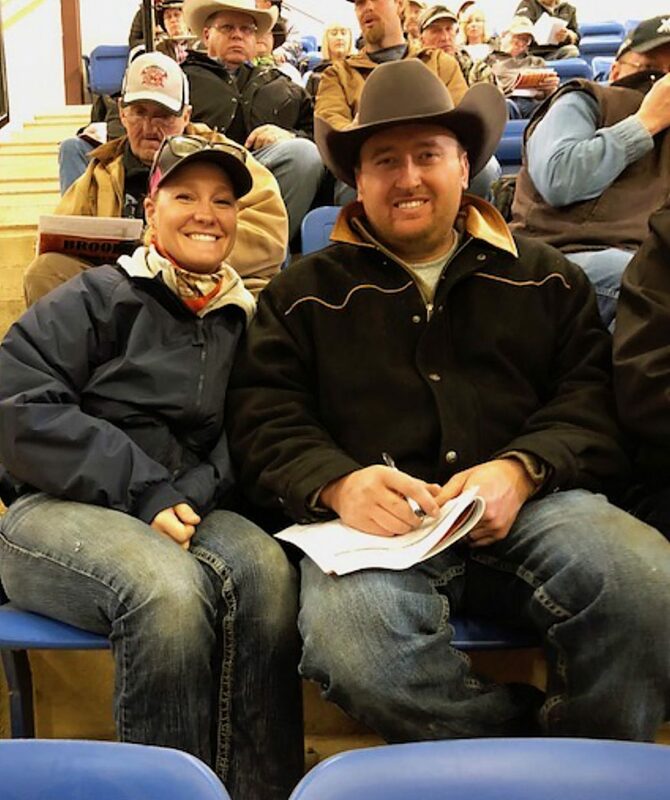 Emily and Brandon Richard, Belfield, North Dakota, buying some Brooks heifers. Sale day was a great day for the Brooks family – the sale offering was very nice. 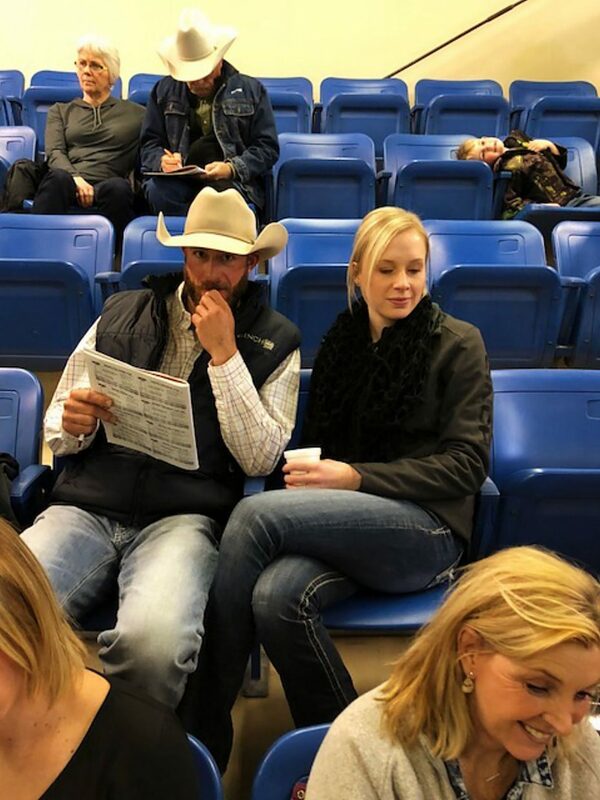 The family appreciated a large group of repeat cattlemen buyers on the seats. Several purebred breeders also attended the sale. Lot 1 at $19,000, BROOK PAYWEIGHT 7257, Dob 2-26-2017, Reg 18921595, Basin Payweight 1682 x Forevever 478 BCBR, sold to Frank Brand, Lake City, Minnesota. sold to Howdy Lawlar, Watford City, North Dakota. Lot Lot 15, at $9,500, BROOKS BROLEN BOW 7290, Dob 3-1-2017, Reg 18921370, KM Broken Bow 002 x Lady Ewel 4399, sold to Wade Wilson, Watford City, North Dakota. Lot 31 at $9,500, BROOKS BLACK GRANITE 7228, Dob 2-22-2017, Reg 18925383, Commealy Black Granite x Blue Ribbon 4329, sold to Bryan Miller, Bismarck, North Dakota. sold Wade Wilson, Watford City.